President Trump recently nominated Johnny Collett from Kentucky to be the assistant secretary of education for special education and rehabilitation services for the U.S. Department of Education. Collett once taught high school as a special education teacher, though it is unclear if his college major is special education. But, unlike Education Secretary Betsy DeVos, he has experience. Some think he is a good choice for that reason. However, there’s also concern. Collett talks a lot about student outcomes, but we hear little about disabilities. This makes parents of children with autism nervous. He is also endorsed by the National Center for Special Education in Charter Schools. There are other concerns as well. First, Betsy DeVos and Donald Trump want someone in that position who favors vouchers. Also, upon closer examination, Mr. Collett appears to have ties to Common Core and personalized learning. After teaching, Collett worked in the Kentucky Department of Education. From 2015, he has been Program Director of Special Education Outcomes at the Council of Chief State School Officers (CCSSO). In 1996, the CCSSO along with the National Governor’s Association (NGA) formed Achieve, Inc. funded by the Bill & Melinda Gates Foundation. 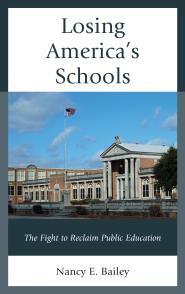 Achieve was behind Common Core State Standards for the states. These groups support CCSS. Gene Wilhoit, prominent in pushing CCSS, was the CEO of the Center of Innovation at the University of Kentucky and Director of CCSSO from 2006-2013. In an interview last summer, Collett used all the corporate reform buzz words: college and career ready, educational rigor, expectations, academic achievement outcomes, and equity. Collett talks a lot about standards and principals and leadership, but less about special or general education teachers and the challenges they face in the classroom. Last July, Education Week reported on rural Kentucky’s drive to use micro-credentials to instruct teachers. Collett implies that a new breed of teachers will be required. Going back to 2010, Collett already promoted personalized learning. He said, What is Next Generation Learning? A personalized system of education that prepares each child for life, work and citizenship in the 21st century. Next Generation Learners objectives. All students perform at or above proficiency and show continuous improvement (achievement/growth). All students succeed (gap closure). Next Generation is another term for Common Core. In New York they changed the name of CCSS to Next Generation Standards, but The “anchor standards” of the Common Core — which broadly lay out what’s expected of students — remain largely intact, though some were consolidated or clarified. Also telling is what Collett says about special education. 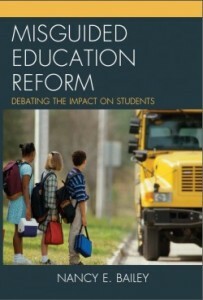 …states have learned that a focus on compliance under IDEA, while necessary, is not sufficient by itself to improve achievement and outcomes for SWD. States are not content to maintain environments where the achievement of compliance alone is viewed as success. As a result, the focus has expanded beyond compliance to include intentional focus around results and to improving achievement and outcomes for SWD, as well as associated staff development and school improvement toward that end. This theme that IDEA regulation has failed, so they must rethink it, is troubling. It is similar to what DeVos has said. IDEA compliance is how the law serves students. Without it, IDEA has nothing to offer. Many parents of students with disabilities bypass special education vouchers. They don’t want to lose the protections they are afforded by the compliance under IDEA. Get rid of, or diminish, the regulations surrounding IDEA, the floodgates will open for parents to leave their public school. Their children will have no protections! DeVos and Collett are not intent on better funding of IDEA, or looking to make education in public schools work better for students with disabilities. They should be ensuring that public schools fulfill the promises made under IDEA! So Collett seems like the perfect choice for DeVos and her agenda, and also for helping Bill Gates go about the business of creating special education charters. The Gates Foundation recently announced plans to invest in special ed. charters. Likely they will include personalized learning. However, Collett doesn’t sound like a good choice for parents of students with disabilities looking for better services in their public schools. Parents could be on their own to find a school that will serve their child with inclusion and an IEP, and other regulations of which they learned to depend. Alyson Klein. “Trump Tops CCSSO Official for Ed. Dept.’ Top Special Education Post.” Education Week. November 15, 2017. Madeline Will, “Rural Kentucky Eyes Microcredentials as a Professional-Development Solution.” Education Week. July 21, 2017. Arianna Prothero. “Bill Gates Plan to Invest in Charter Schools’ Big Weak Spot: Special Education.” Education Week. October 20, 2017. This is ominous. Using the buzzword of personalized learning in regard to any student, but especially in regard to students with special learning needs, co-opts the lay person’s assumptions of the meaning of the word “personalized,” and replaces it with the technocrat’s assumption of the use of online/digital learning. Supposedly this is the way to differentiate learning, according to people who have never engaged with actual students in actual classrooms. Certainly technology can be useful with logistical aspects of teaching/learning, such as braille keyboards and flexible line spacing, as well as with pedagogy–for example, connecting with real scientists doing real-time experiments (such as the Jason Project). But all students need extensively trained and dedicated human teachers to direct their learning. For students with special learning needs, small classes and human teachers are imperative. It is disheartening but no surprise that a person chosen by Trump/DeVos does not understand this. Thank you, Sheila. I think this plan has been in the works for a long time. Interesting how personalized learning was stolen from special education. It sounds so nice too. Deregulation in every area is a concern. Rules are there for a reason. Thanks, Ciedie.. This an all out assault on education as we used to know it. The Trump program is to place a” satan” in every cabinet position. It is unbelievable what he is doing. Betsy DeVos is just the tip of the iceberg. Substituting failure, for poverty is the mantra and it seems the American people are ignorant or totally oblivious to what is happening to our public schools. Will it change? The dividing of us vs. them and the partisanship is killing the middle class just look at the Alabama election of Judge Roy Moore. We are are apparently going down to level so low I wonder if we can ever get back up. I am scared for our children and their future in the USA because education has been a savior for so many in spite of all the obstacles. Collett does not sound like a leader for real education. Good luck. There are more people who are beginning to understand the problems in education because of Betsy DeVos. She is so extreme. So. while it looks bad now, in a way that’s a good thing. Hopefully, we will see things bounce back in favor of public schools for the next Presidential election. The recent election saw some positive change in Virginia and New Jersey. Also, DeVos is having a difficult time getting her agenda through. Stay hopeful, James!